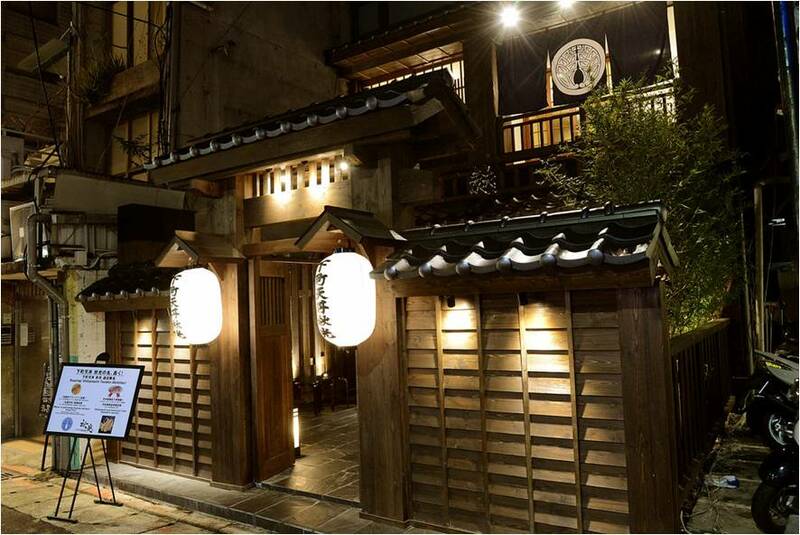 The founder of Shitamachi Tendon Akimitsu, chef Akimitsu Tanihara, was the fifth-generation head chef of a 128-year-old Dote No Iseya Restaurant in Asakusa, Japan. The restaurant has a long history of making Donburi and Chef Akimitsu Tanihara has enriched experience and techniques in making tempura, and Tendon. He mastered how to make traditional Tendon (tempura donburi) in hold and artistic way. "Donburi" is referred to a rice bowl topped with seasoned vegetables or seafood. Chef Akimitsu Tanihara has always been researching ways to enhance texture and flavour of his tempura, which includes testing on cooking temperature, testing of frying time per ingredients, twisting ratio of the formula of the coating and frying oil, selecting different combinations of seasonal premium materials. He has never restricted himself to what food he should not try to transform them into tasty tempura. 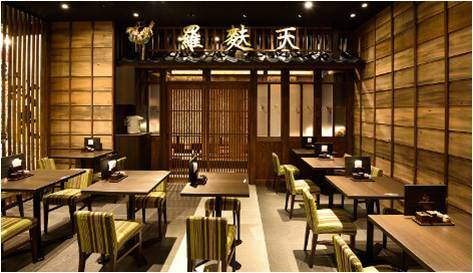 His restaurant also makes its own in-house special tendon sauce which gives additional flavour to tempura and rice and brings them into harmony. Their profound knowledge and experience finally earned the "King of Tempura Bowl" gold award in Donburi championship of Japan in 2014, which is the highest recognition of Tempura cuisine in Japan. All of our ingredients are prepared with consideration from the experienced chef from years of practices in traditional ways to be presented for customer's eyes and so that they will be perfect inside just when the batter is crisp and golden. Please ask our friendly staff about our seasonal specials. Tempura is, at first glance, a simple dish consisting of batter-coated vegetables or fish which have been deep-fried. However, properly prepared tempura is much, much more. Imagine the freshest shrimp cooked to tender, sweet perfection, scantily dressed in only a thin, crunchy lace shell. Tempura is the gild on the culinary lily, adding a textural crown to the most perfect, freshest morsels. With skills that have been perfected since Mid 16th century in Japan. 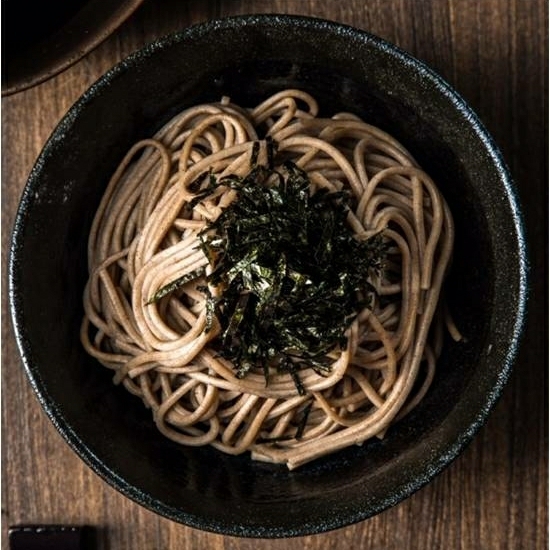 However, anyone who loves the Japanese style cuisine, an approach that puts a premium on using the freshest, best-quality ingredients and letting their natural flavours take centre stage. Among all Japanese cooking techniques, tempura is going to be one of your favourites. Tempura (the word refers to both the cooking method and the finished dish) is a wonderful frying technique that adds flavour and texture to food without competing with its natural flavour. Raw vegetables or seafood are dunked in a simple batter and then briefly fried in a mild-flavoured oil, just long enough for the batter to crisp and the food to cook through. As the batter cooks, it forms a translucent coating that protects the tempura and prevents it from absorbing too much oil makes tempura tastes clean, fresh, and delicate. Also adapts well to Australian ingredients. 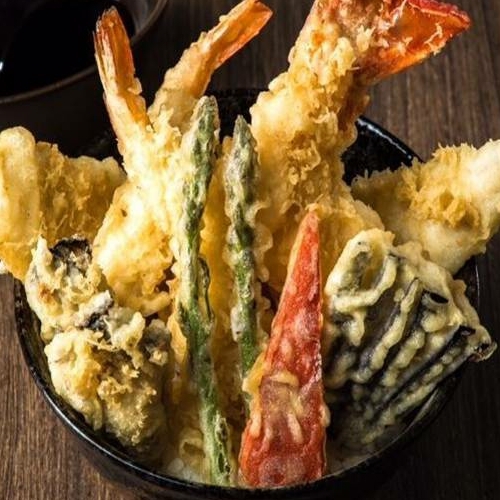 Traditional tempura is crisp, light and fresh-tasting Unlike some versions of batter-fried food. Tempura does not use breadcrumbs (panko) in the coating. Fried foods which are coated with breadcrumbs are considered "FURAI", Japanese-invented Western-style deep-fried foods, such as Katsu or Korrokke. When eating tempura it is a good idea to always take from the edges or top. Lightly mix the grated daikon into the tempura dipping sauce, and take the dipping sauce bowl in hand, quickly dipping the tempura in the mixture before eating. With items that are difficult to bite off, such as squid, try not to place the item back on your plate after you have taken a bite. With sauce bowl in hand, finish each piece of tempura. In the event you are not able to finish the whole piece, place the remainder as out-of-sight as possible from other people. Below are points considered to be impolite when using chopsticks. Keep them in mind when eating with chopsticks. Sorting food with chopsticks, as in selectively picking out the items you like from a serving dish should not be done. When resting your hands during a meal or when finished, refrain from placing your chopsticks across the rim of the bowl. Try using the chopstick rest or edge of the tray, instead. Sticking chopsticks into the food. Even if the food is difficult to grasp, stabbing the food is strictly prohibited. This is pulling a dish out of reach closer to you with the chopsticks. Use your hands to reach for the dish instead. Waving your chopsticks above the dishes, while trying to decide what to eat. Make your choice before picking up your chopsticks. Dripping liquid from the chopsticks. Take care when eating ingredients in soup or sashimi dipped in soy sauce. ©2017 AKIMITSU AUSTRALIA PTY LTD ALL RIGHTS RESERVED.